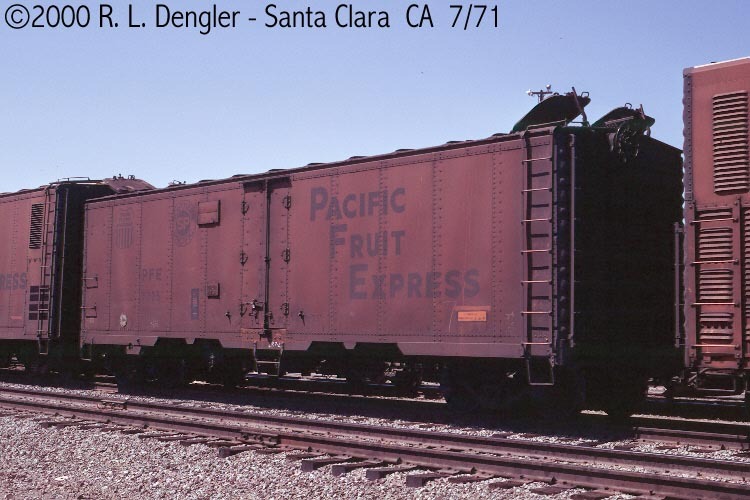 These 40' steel refrigerator cars were built as above and featured XXXX ft3 capacity, Murphy steel rooves, W-corner 3/3 Improved Dreadnaught ends and 4'-0" doors. A group of 1000 cars was converted for Temco service and renumbered 20002-21001 in 1960-61. 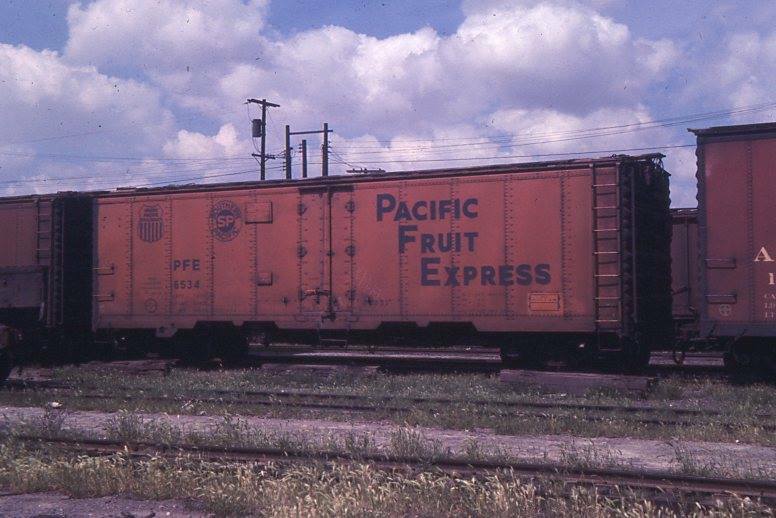 Another group of 15 cars was rebuilt with 6' plug doors for Polarstream Liquid Nitrogen cooling and renumbered 1001-1015 in 1965. Another group of 239 cars was renumbered into the 36001-36500 series for TIV service in 1965-66. The Temco equipped cars had it removed in 1966 and were renumbered to 35002-36000. The cars 1001-1015 were renumbered 36501-36515 for TIV service in 1968. Modeling note: Intermountain makes a model of the R-40-23 class.